Immersion Technology combines applications and platforms to solve business challenges. We see business as a series of processes that can when appropriate be optimized using technology. A successful system starts with the initial engagement of a client through marketing and sales and continues through fulfilment and ongoing service. 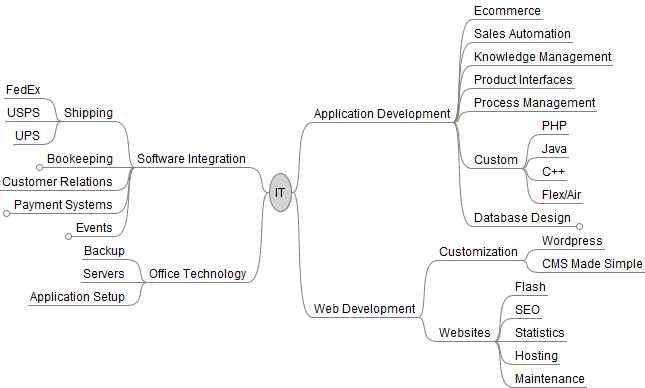 Each of the solutions outlined in the diagram below are part of this business process series. Immersion Technology starts with understanding your process and goals and then helps identify and implement the appropriate technologies. *Service is provided through our partners.